Mejuri: A Reasonable Jewelry Purchase? I almost started this article with “I don’t often buy myself things” but that would have been the biggest lie I’ve ever told. I treat myself constantly. I often think it’s to block out insecurities and try to cheer myself up, upon reflection that’s quite sad. Rewinding this article I would start with “I don’t often buy myself jewelry”, this is true. Jewelry is expensive and as I get older I have no desire to buy pieces that are less than. I don’t want costume jewelry but I’m also not rolling in dough, aka buying anything overly expensive. I decided to change this commonality and buy myself something nice, a little luxury if you will. Recently I purchased 3 pieces from Mejuri, a Toronto company based on the principles of providing people with affordable daily luxury. 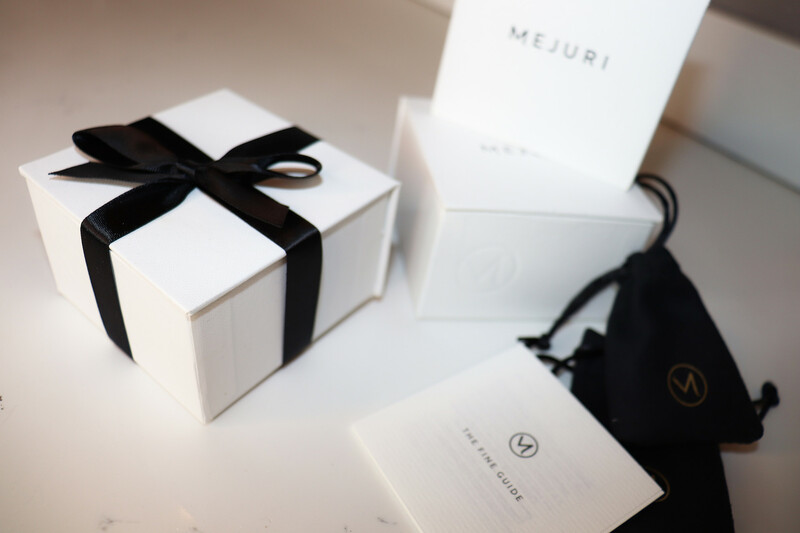 I’ve purchased from Mejuri before and have loved the products. Apart from minor tarnishing, which is to be expected, I’ve never encountered a fault. If you’re thinking about purchasing from Mejuri, whether it be for a gift or just some self-love, I want to give you confidence in your purchasing. This is how the product arrives. I was looking for pieces I could wear on a daily basis without appearing too flashy; I also wanted jewelry that was simple and easy to pair with things I already have. My images truly don’t do the jewelry justice, the metal is smooth and well weighted. The finish on the boyfriend stacker is a semi-matte that is just noticeable enough to create intrigue. And lastly, the tarot card inspired strength necklace feels unique and strong, it makes me feel a little braver. For someone who doesn’t wear jewelry on a regular basis, these items feel as though they’re a good addition to my daily self. I’ll let you guys know how things go, I’m most worried that the rings won’t get as much wear only because I’m constantly using my hands and I don’t want to ruin them. Previous Post New Years Resolutions: Are We Starting with Inadequacy?